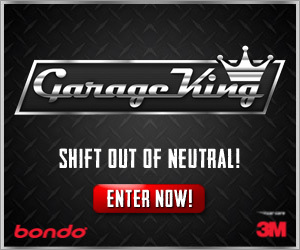 3M Car Care and Bondo want to help one lucky winner become the Garage King by helping to create your dream garage! You could win a $5,000 Canadian Tire gift card to transform your garage into the ultimate pit stop. There are also 10 prize packs of 3M™ Car Care and Bondo® products up for grabs. Last edited by AutoGuide.com; 09-11-2012 at 12:34 PM.